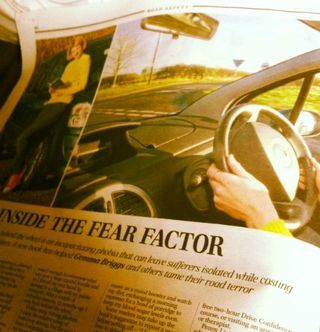 Good news – my book about fear of driving was the subject of a big feature in the Daily Telegraph recently. The only snag was that it was featured in the motoring section, which is the equivalent of a book about arachnaphobia being featured in Spiders Weekly. An edited version of the feature has also been published online – you can read it here – so hopefully one way or another the people who could benefit from the fear of driving book will get to hear about it. The feature led to me being invited on to BBC Radio Stoke this week to talk about the issue of fear of driving, which was great because I think it’s one of the most widely held fears around, yet it hardly ever gets talked about. I feel that it’s the stuff we keep in the dark that has most power to do harm. As soon as you start to shine a light on it, that power shrinks away and you wonder what was so scary in the first place. C25K – Who invented this monstrosity?